I'm now going to add more interest by adding another green variety. 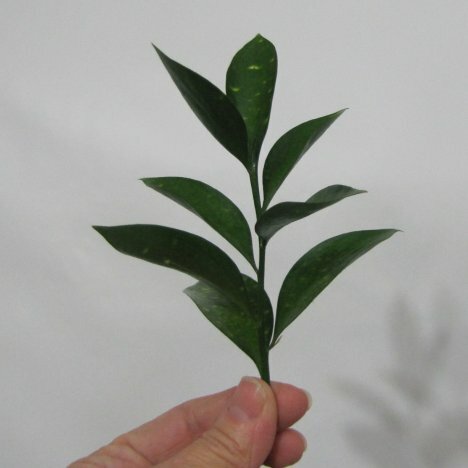 Israeli Ruscus has rounded leaves and a nice glossy green color. 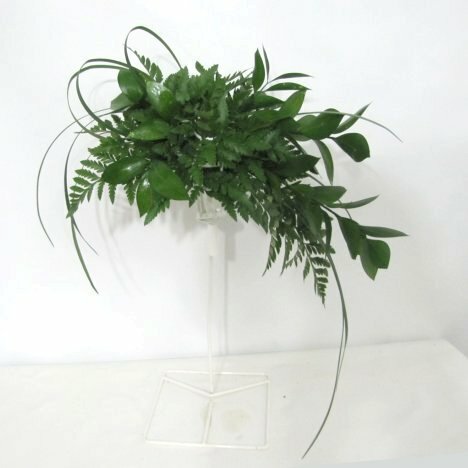 When you are creating a monochromatic (all one color) design like this bouquet, it is nice to create added interest with different kinds of greenery. 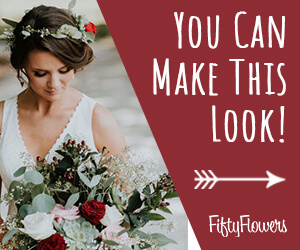 Just a few pieces off the right and down the cascade adds a nice dimension to the shape of the bouquet. 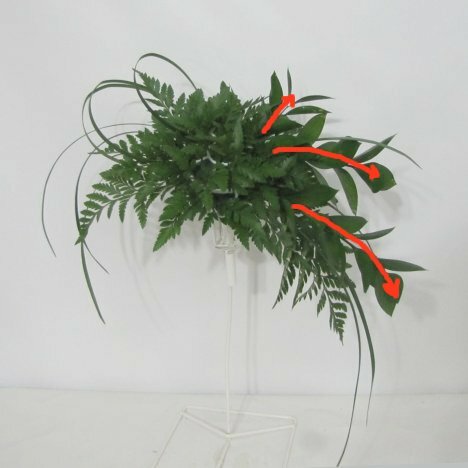 I cut Israeli Ruscus shorter and insert several pieces on the left side of the bridal bouquet. Both the straight blades and the large loops of lily grass contribute to the overall crescent shape I'm creating with this particular bouquet. You can see even before we add any flowers that this bouquet has a lot going for it as far as shape and variety.